Emanuel Leutze (1816–1868). 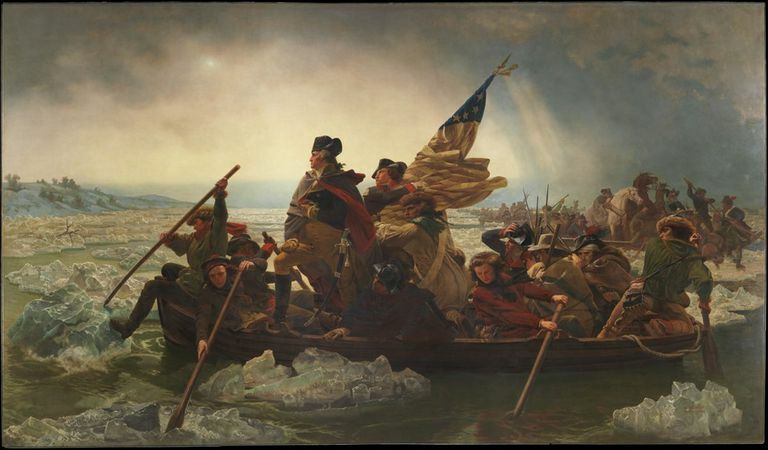 Washington Crossing the Delaware, 1851, Metropolitan Museum of Art. Public domain. The Battles of Lexington & Concord, fought on April 19, 1775, marked the opening engagements of the American Revolution. British troops rode into Lexington, then pushed onward into Concord. As American troops increased, the British decided to retreat, but not before 73 British troops and 49 American troops were killed. 2. Which document formally ended the American Revolution? The Treaty of Paris, signed in 1783, formally ended the American Revolution and marked the start of American independence. It was negotiated between the United States and Great Britain, with input from U.S. ally France. 3. Who wrote the first draft of the Declaration of Independence? In 1776, Congress appointed a "Committee of Five" (which included Jefferson, Adams, and Franklin) to pen a formal Declaration of Independence to be sent to the British Crown. Thomas Jefferson wrote the first draft. Great work! You clearly understand the key events of the American Revolution. Congratulations on finishing this lesson.